Diego Velázquez is considered to be one of Spain’s greatest baroque artists and the leading painter of King Philip VI’s court. 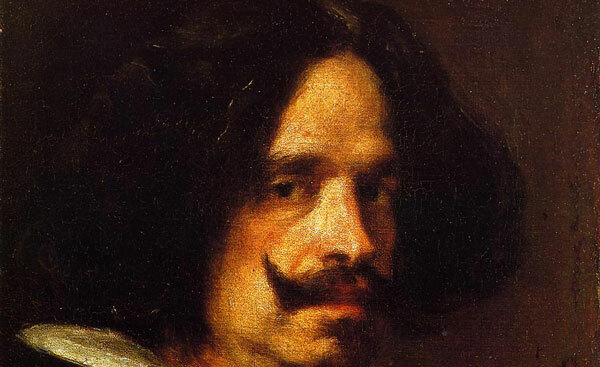 Velázquez gained quite a reputation for himself at court for his spell binding portraits of not only the Royal family but other gentry as well. Apart from portraits, which were his strong hold, Velázquez was heavily influenced by cultural and historical events and painted those in abundance as well. Velázquez was not only admired for being one of the greatest European artists but he was also deeply respected for his strong portrayal of true elements in his portraits. Velázquez was able to capture the true essence of his object – in a very serene and elegant manner – in his paintings. Velázquez was also heavily influenced by Italian and Flemish realism. Born as Diego Rodriguez de Silva y Velázquez in 1599 in Seville, Andalusia, Spain into an aristocratic family of lawyers and noblemen. Despite showing an interest in languages and philosophy, Velázquez developed a strong connection to art. At the tender age of 11, Velázquez started a six year long art apprenticeship with Francesco Pecheco where he studied the different techniques of painting. Under the guidance of Pecheco, Velázquez excelled in portraits, religious landscapes and still life. Many art historians state that it was Pecheco who installed a love of naturalism into Velázquez – something the artist went on to be known for eventually. Not only back then but even today Velázquez’s works is considered to be a model for realist and impressionist painters. Great artists like Eduard Monet, Salvador Dali, Francis Bacon and Pablo Picasso have paid homage to the master artist by recreating many of his famous works. Today Velázquez’s paintings adorn galleries worldwide from Madrid, London, New York to St Petersburg. His strength as a realist painter stemmed from his very clever use of light and shadows for his paintings. Velázquez served as the chief artist at King Philip VI’s court for six years before leaving for Italy. He eventually returned again to the court and resumed painting and was even knighted by the King for his services to the crown. Heavily influenced by the Italian classical style, Velázquez’s masterpiece Venus and Cupid caused a sensation when it was shown to the public. The painting hangs at the National Gallery in London and is heavily acclaimed even to this day due to its intense life-like nature. Velázquez’s influence was so powerful that he became the only artist of that century to be granted permission to paint the Pope. Diego Velázquez is one of those master artists whose work would go on to be recreated many times by budding and well-known artists. He is regarded by many as a painter’s painter. It is remarkable to note that one of his masterpieces, The Mole was painted when Velázquez was just a teenager. It was during his apprenticeship with Pecheco that he painted this. He is a painter who made a mark not just for painting for the Royal family of Spain but also because he painted the everyday folks of Seville and in real light.